I can't believe it took me this many years to pick up My Soul to Take! From the first page I was immediately hooked and just couldn't stop reading. Kaylee's story is so original and nail-bitingly addicting that I couldn't help but love fall in love with this book. Rachel Vincent captured a great teen voice for all of the characters and had amazing descriptions that put me right into all the action! I loved the unique 'problem' that Kaylee has and other aspects of paranormal folklore that Vincent brought to the book. I don't want to give too much away, one of the best parts for me was going in knowing almost nothing about the book and then being able to slowly uncover what exactly was wrong. There were definitely some parts of the book that I predicted way before they were revealed. However, I don't think that made me enjoy the story any less. I felt the pacing of the plot and how all the information was revealed was done really well. I easily understood all the new paranormal/folklore terminology too, which was awesome! A little problem I had was how parts were repeated at least two to three times. 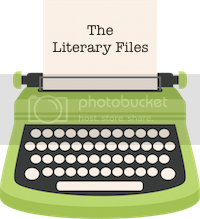 Like you know how a character will go through a scene, then they'll go and tell another character what happened and you (the reader) get a recap, in some parts it felt like I was getting too much of a recap from past events, especially the third time around. I was like can't it just say 'I told her what happened' instead of saying everything again? This was just a little peeve of mine, but it definitely didn't prevent me from loving this book. "...don't judge your future based on others' mistakes." 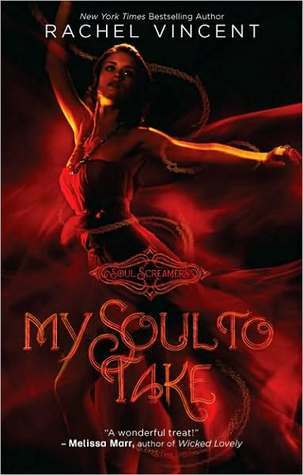 My Soul to Take is the perfect start to Rachel Vincent's Soul Screamers series. 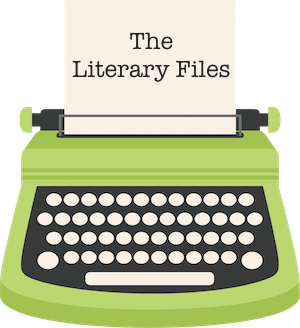 It introduces you to the main character, Kaylee and her world perfectly while also giving you an introduction to the supporting characters as well. My Soul to Take is the perfect mix of mystery, paranormal and a pinch of romance, you definitely need to read this one a.s.a.p. It's definitely one of my new favorites! I've already ordered the next few books in the series and am stalking my mailbox waiting for them to arrive! ALways great to hear about an original story, and Kaylee sounds like a character I would like. So glad you enjoyed it! I can't wait to read this series.